Premier’s open MRI features an opening of nearly 2.3 feet in diameter and almost one foot of free space between a patient’s head and the magnet. The bore is approximately four feet long and is open at both ends, allowing more than 60 percent of exams to be completed with the patient’s head outside the bore. This helps to ease claustrophobia, and the machine is able to capture high-field, quality diagnostic images. 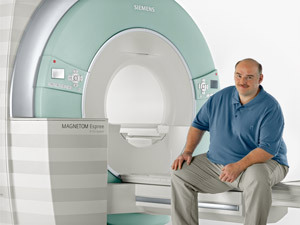 Open MRI accommodates patients of all sizes, including children and overweight or obese patients. You will be comfortably positioned on a special table that slides into the MRI system opening, where the magnetic field is centrally located. The area is well-lit in a room that provides an atmosphere that is open, airy and comfortable. The technologist will perform the MRI exam at the control unit in an adjoining room. You will be asked to remain still during the imaging process, and you will be able to communicate with the technologist through an intercom if needed. If you are claustrophobic, certain techniques such as entering feet first, aromatherapy, or mirrors may provide relief. In some cases, a contrast material may be injected into a vein in your arm to make tumors, vessels and scar tissue brighter. The contrast is filtered out of your bloodstream by your kidneys and eliminated from your body in your urine within 24 hours. Side effects are rare, and registered nurses will be available throughout your procedure. Because the strong magnetic field used for MRI will pull on any metal object implanted in your body, Premier staff will ask about all surgeries you have had. 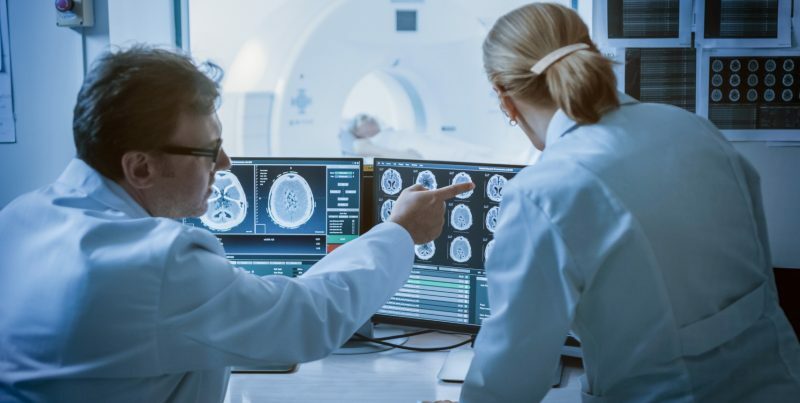 Some surgical implants may make you ineligible for MRI, while other surgical procedures may require a specific amount of time to pass before an MRI can be performed. Examples of surgeries that require special attention include: aneurysm clips, ear implants, brain implants, pacemakers, heart valves, stents, and intrauterine devices (IUDs). Patient lockers are available for jewelry and other valuable items, however you are encouraged to leave all jewelry at home during procedures.